Monday, 11th November 2013 at 11am in the Mahony Hall, The Helix, DCU. Magnet is proudly supporting the Nobel Laureate Lecture Series as an opportunity to stimulate the nation’s engagement in humanities and science. 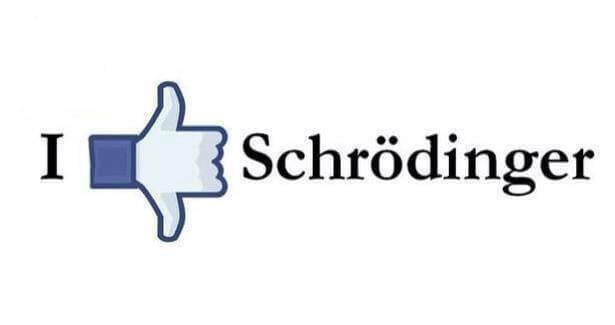 Shedding new light on Schrödinger’s cat. Lecture Abstract: In the early days of quantum physics, the founding fathers of the theory used to imagine “thought experiments” in which they assumed that they were manipulating and observing isolated atoms or photons evolving according to the strange and counterintuitive laws which they had just discovered. At that time, they believed that these experiments would remain forever virtual. Technological advances have recently changed this state of affairs and made possible the actual control and manipulation of isolated quantum particles, in ways which were previously thought impossible to achieve. At the fundamental level, the goal of these studies is to explore the transition between the microscopic world where quantum laws are dominant and our macroscopic environment which appears to be “classical”. More practically, physicists are hoping that these experiments will open the way to new technologies exploiting the strange logic of the quantum world to compute, communicate or measure physical quantities better than what was previously conceivable. In Ecole Normale Supérieure in Paris, we perform such experiments by juggling with atoms interacting with photons trapped between highly reflecting mirrors. We have realized the non-destructive counting of photons and the preparation of states of radiation analogous to the famous “Schrödinger cat” that the Austrian physicist had imagined to be suspended between life and death. We have also studied the decoherence of these states, i.e. the process by which they lose in a short time their strange “quantumness”. I will give a simple description of these experiments and try to make a few guesses about their possible applications. Serge Haroche has received many prizes and awards, culminating in the 2012 Nobel Prize in physics, shared with David Wineland. He is a member of the French Academy of Sciences and a Foreign Member of the National Academy of Sciences of the United States, of the American Academy of Arts and Sciences and of the Brazilian Academy of Sciences. Serge Haroche was born in 1944 in Casablanca. He graduated from Ecole Normale Supérieure (ENS), receiving his doctorate from Paris VI University in 1971 (thesis advisor: Claude Cohen-Tannoudji). After a post-doctoral visit to Stanford University in the laboratory of Arthur Schawlow (1972-73), he became full professor at Paris VI University in 1975, a position he held until 2001, when he was appointed Professor at Collège de France (in the chair of quantum physics). He has also been Maître de Conference at Ecole Polytechique (1974-1984), visiting professor at Harvard (1981), part time professor at Yale University (1984-1993), member of Institut Universitaire de France (1991-2000) and chairman of the ENS Department of Physics (1994-2000). In September 2012, he has been elected “Administrateur du Collège de France” (equivalent to President of this institution). Serge Haroche’s research has mostly taken place in the laboratory Kastler Brossel at ENS. His main research activities have been in quantum optics and quantum information science. He has made important contributions to Cavity Quantum Electrodynamics (Cavity QED), the domain of quantum optics which studies the behaviour of atoms interacting strongly with the field confined in a high-Q cavity, a box made of highly reflecting mirrors. An atom-photon system isolated from the outside world by metallic walls realizes a very simple experimental model which Serge Haroche has used to test fundamental aspects of quantum physics such as state superposition, entanglement, complementarity and decoherence. Some of these experiments are actual realizations in the laboratory of the “thought experiments” imagined by the founding fathers of quantum mechanics. Serge Haroche’s main achievements in cavity QED include the observation of single atom spontaneous emission enhancement in a cavity (1983), the direct monitoring of the decoherence of mesoscopic superpositions of states (so-called Schrödinger cat states) (1996) and the quantum-non-demolition counting of photons (2007). By manipulating atoms and photons in high-Q cavities, he has also demonstrated elementary steps of quantum information procedures such as the generation of atom-atom and atom-photon entanglement (1997) and the operation of quantum logic gates involving photons and atoms as “quantum bits” (1999). Magnet is proudly supporting the Nobel Laureate Lecture Series as an opportunity to stimulate the nation’s engagement in humanities and science. Since February 2013, Magnet is rated as the fastest internet service provider in Ireland by NETFLIX and provides competitive Broadband, Phone and TV services across the country.